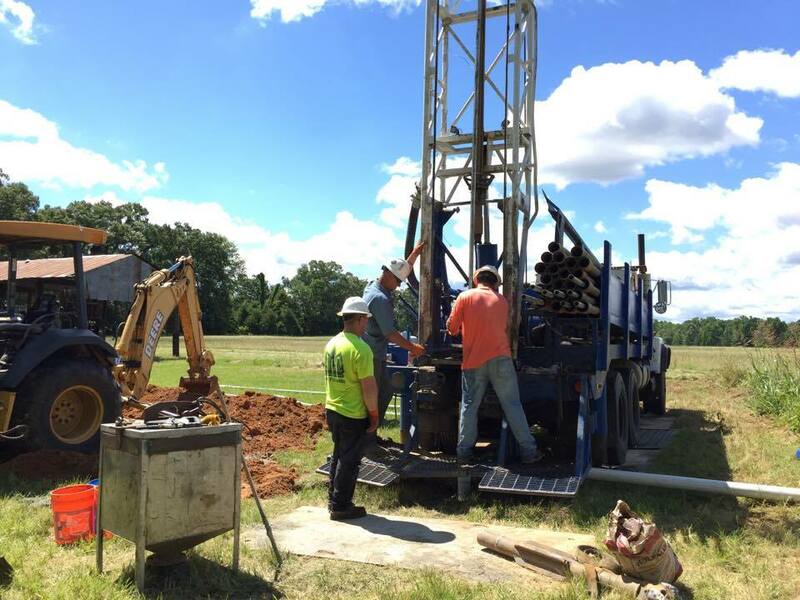 We are a full service water well contractor providing for the construction of water systems to include wells, pumps, and water treatment systems. 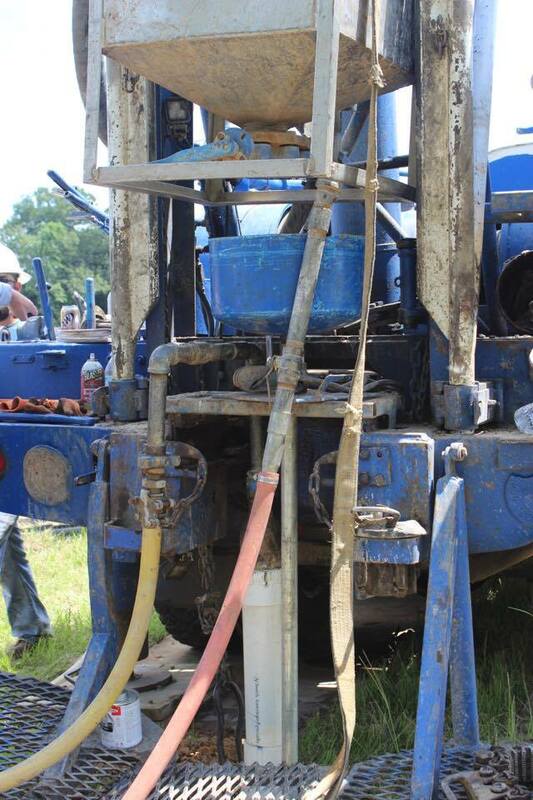 All services are provided by licensed professionals who have 259 combined years of experience in the water well business. 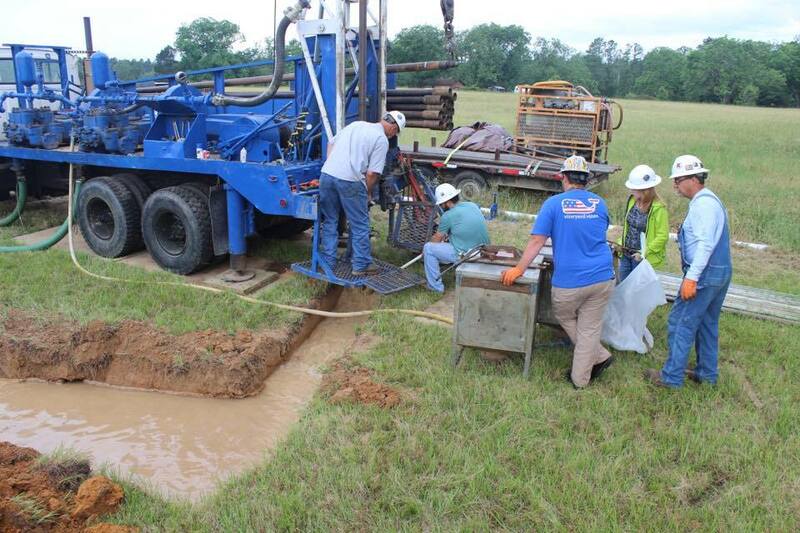 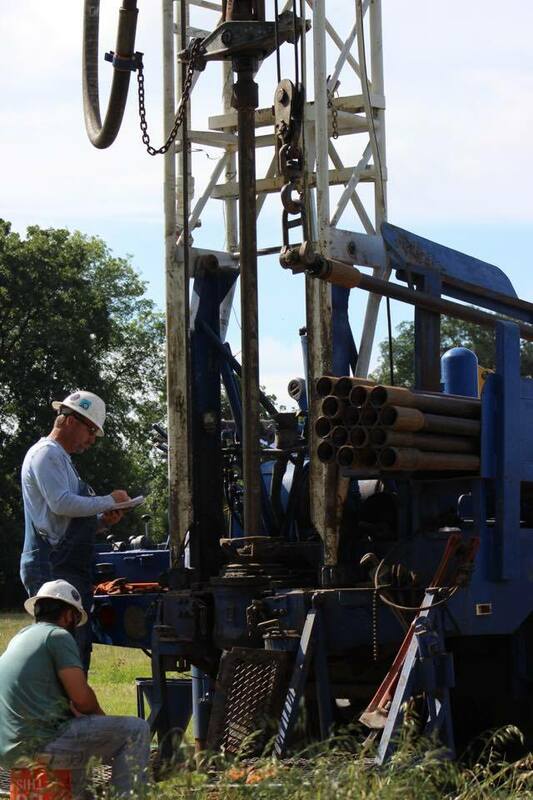 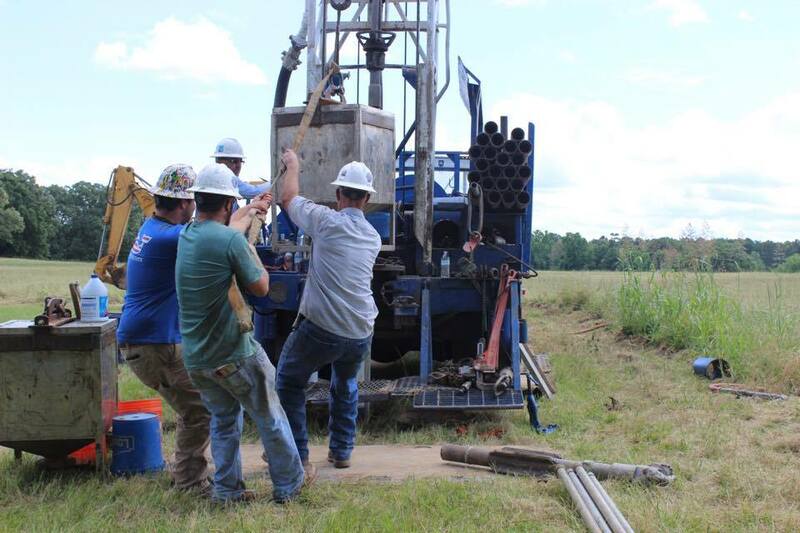 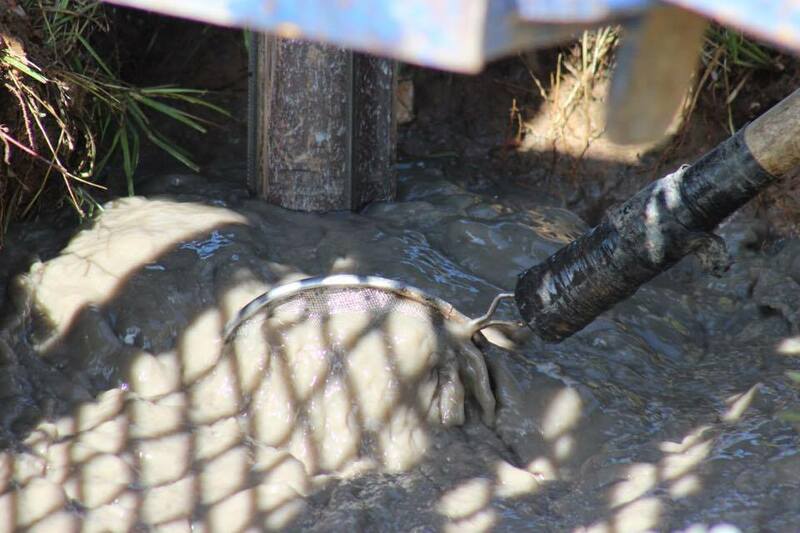 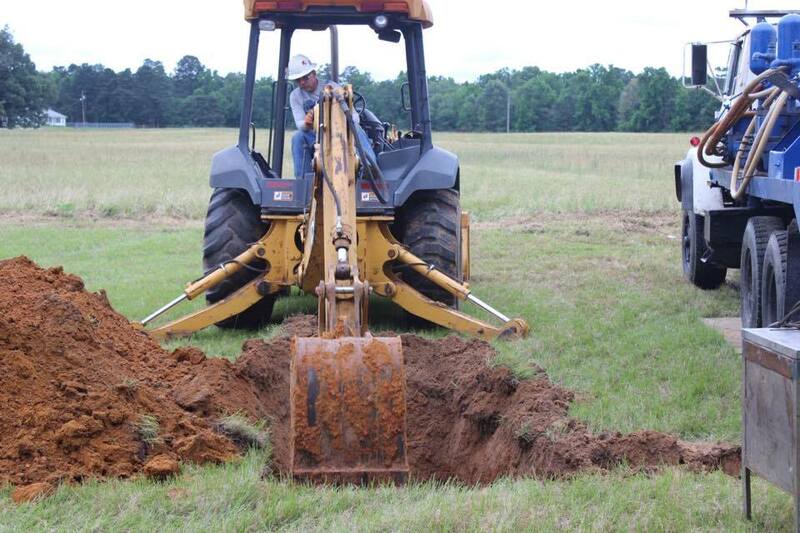 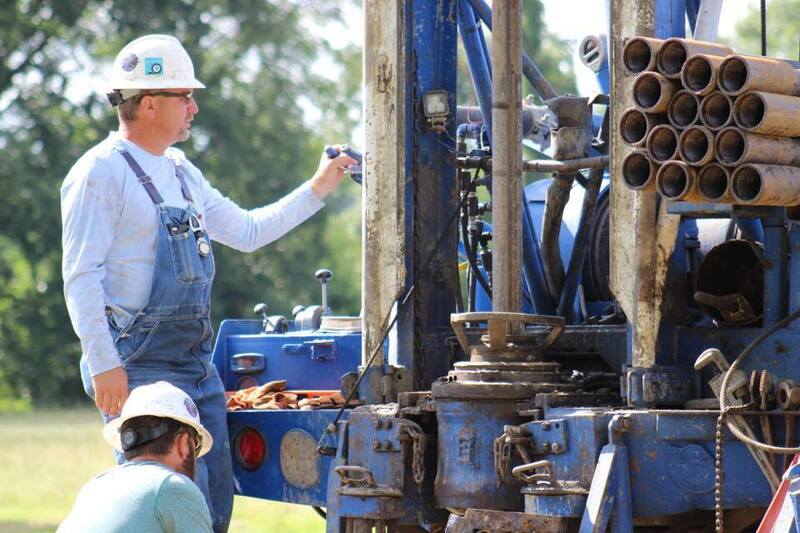 Pender Water Wells is fully bonded, certified, insured, licensed and equipped to offer water well drilling and pump installation, maintenance and repair services. 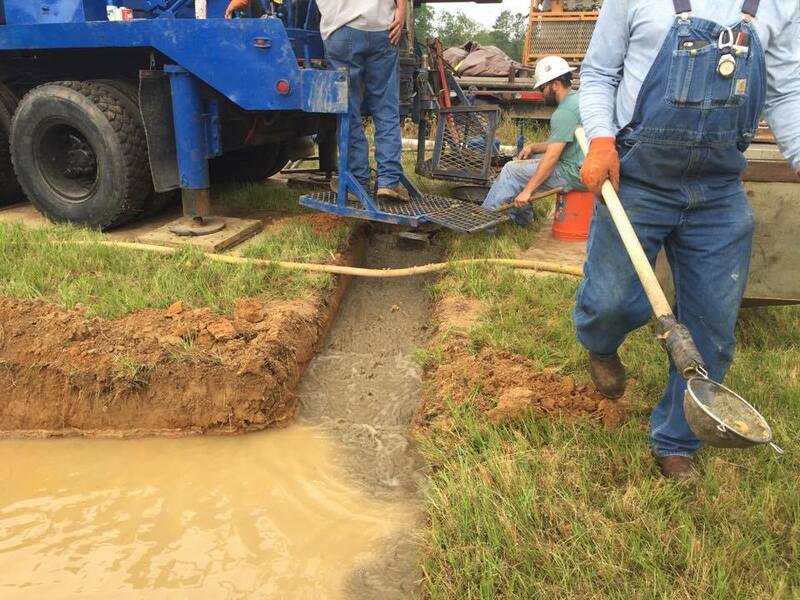 We will provide onsite service to your home, business, community, factory or farm in Northeast Texas, Northwest Louisiana, Southwest Arkansas or Southeast Oklahoma. 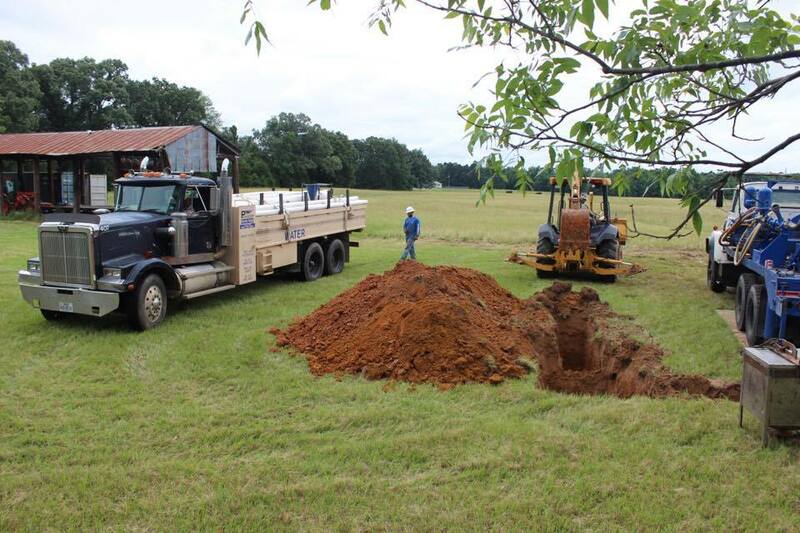 We handle all kinds of jobs, including wells for farms, commercial properties, and even municipalities, in addition to wells for new construction. 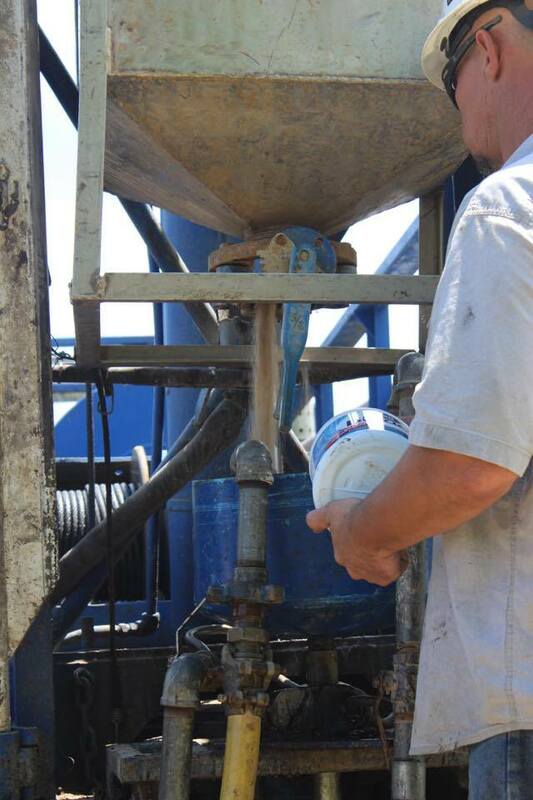 Our technicians also attend ongoing training to stay current on new regulations and technologies. 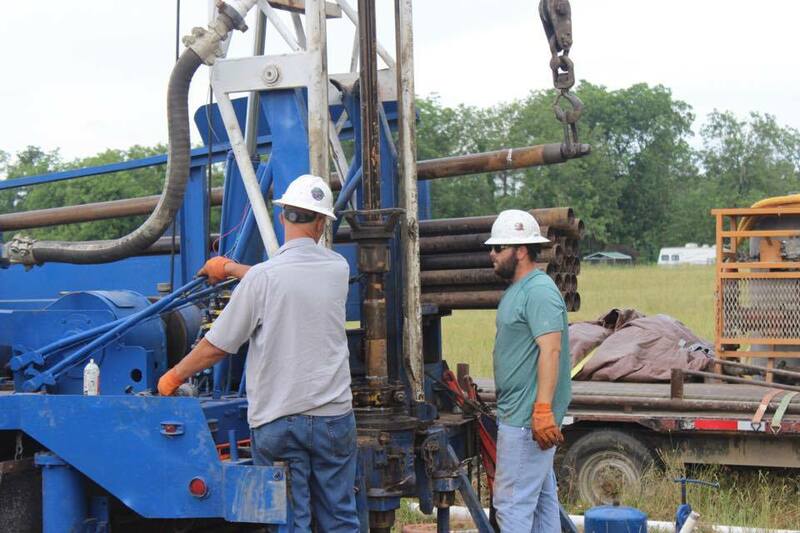 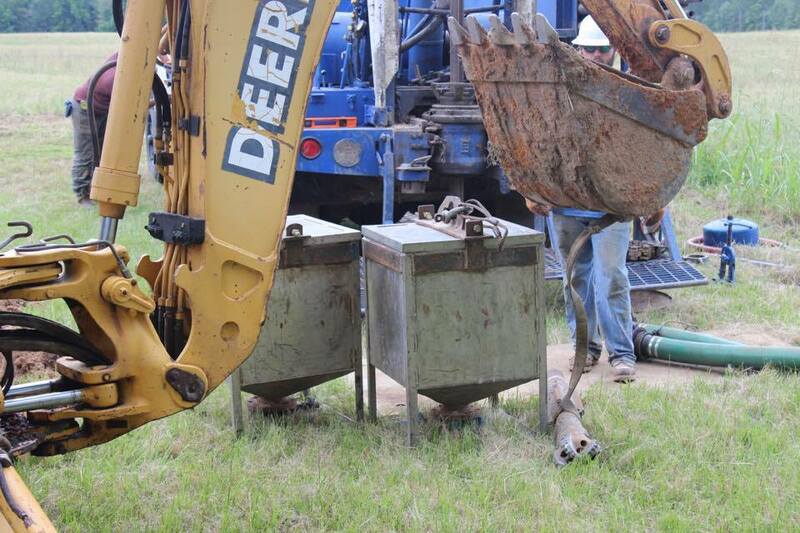 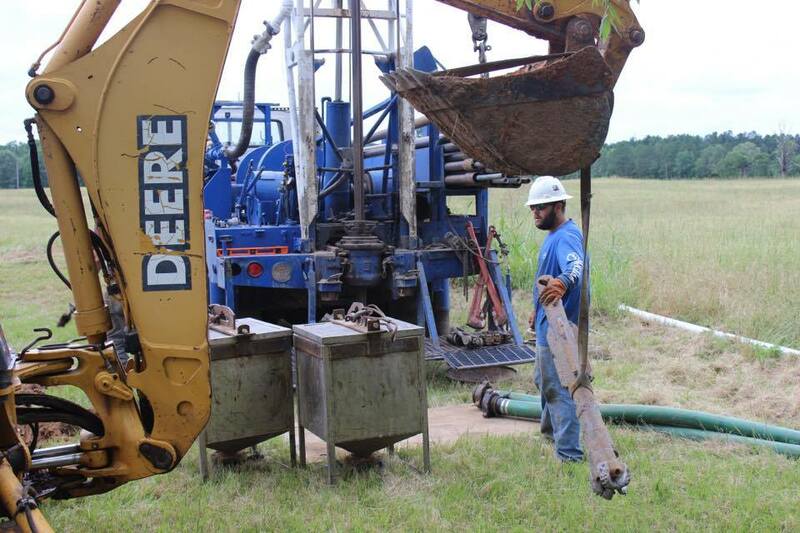 Pender Water Wells provides prompt and reliable service to residents of Northeast Texas, Northwest Louisiana, Southwest Arkansas and Southeast Oklahoma. 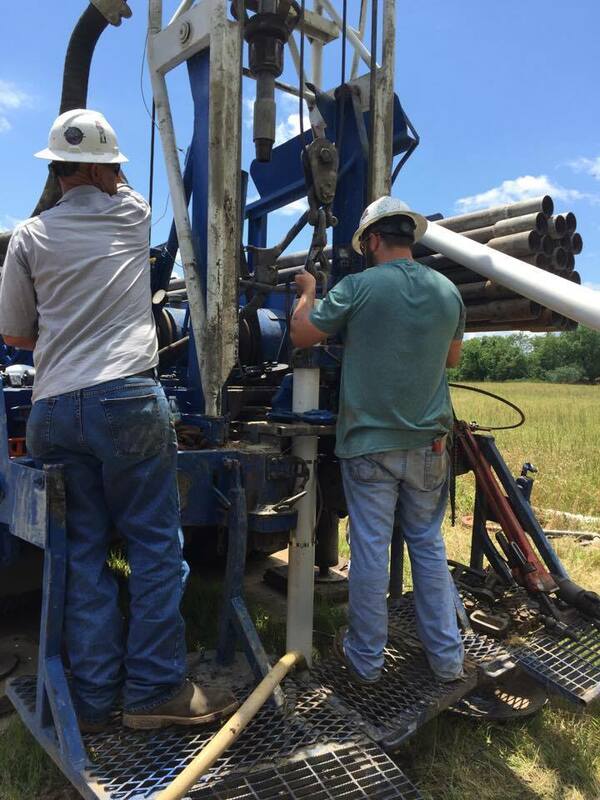 Because we have been in this business for so long, we understand the diverse geological formations of this region and can drill more efficiently, keeping your job within the budget. 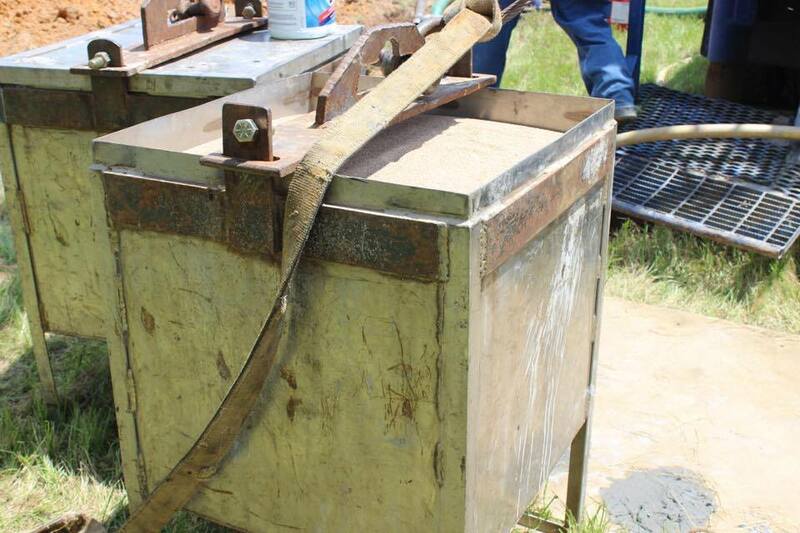 We will always provide the best materials and workmanship and ensure our work meets local codes. 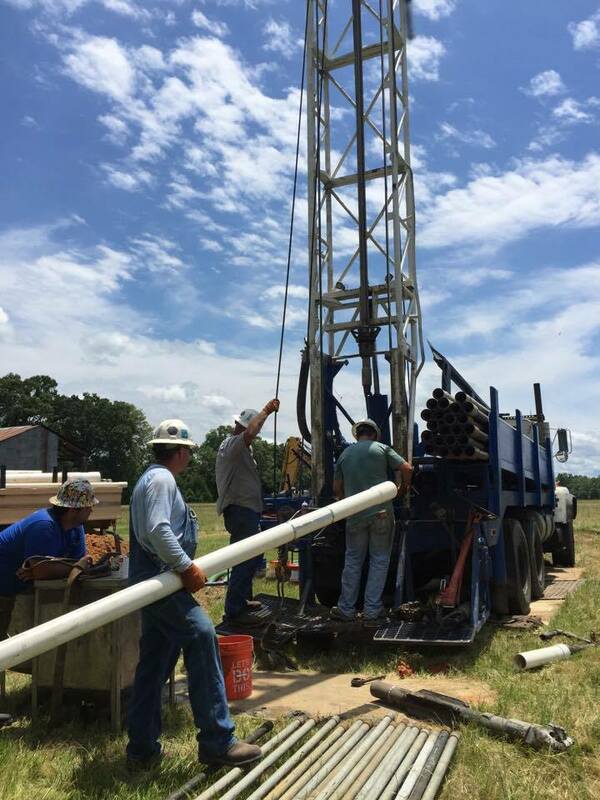 Whether you need a water well drilled or serviced or you need to buy, service, install or repair pumps, we’re here to help. 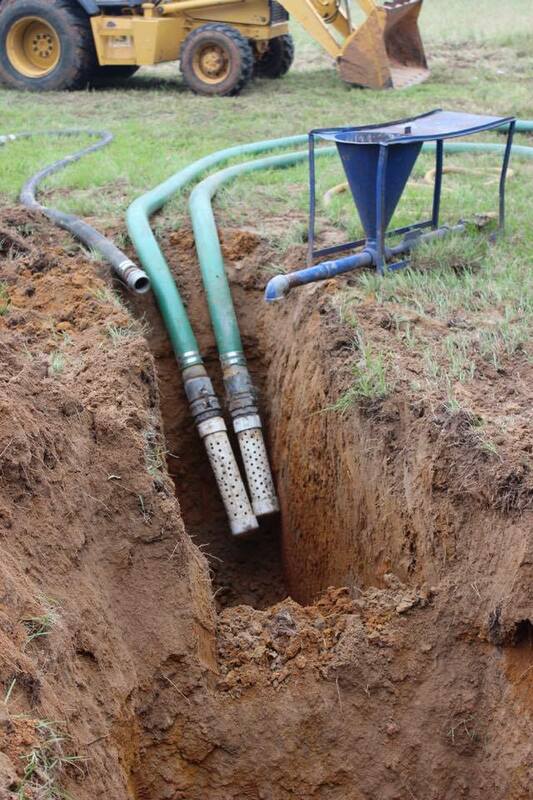 Just pick up the phone and we take care of everything from giving you an estimate to making sure water is coming out of your taps! 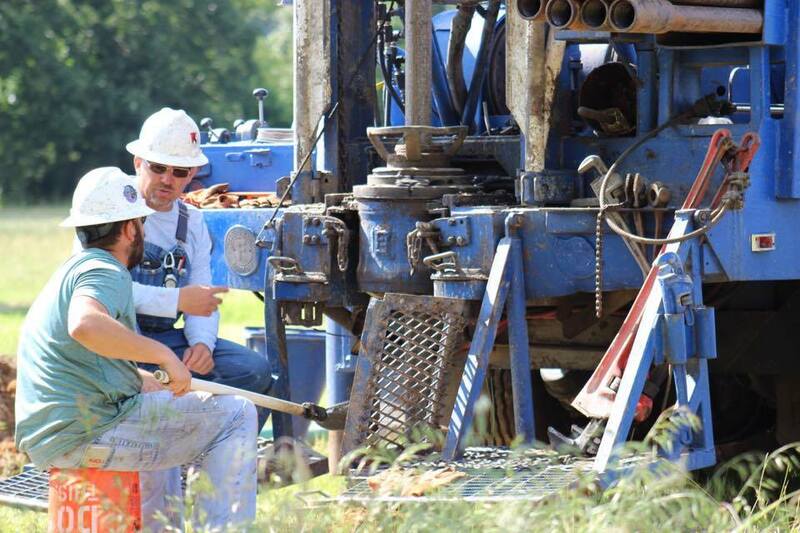 Industrial clients make up a large part of the Pender portfolio of clients. 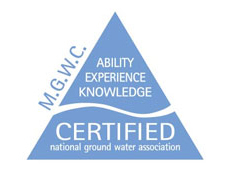 Chemical plants, Steel mills, refineries, paper mills, and mining operations are large consumers of water. 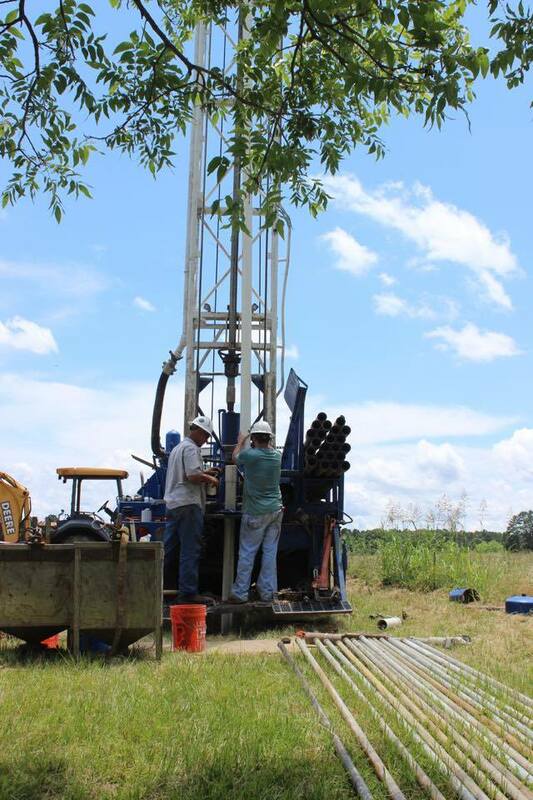 Some commercial wells drilled by Pender Water wells exceed 1800 feet in depth and 16 inches in diameter and provide up to 3000 gallons per minute. 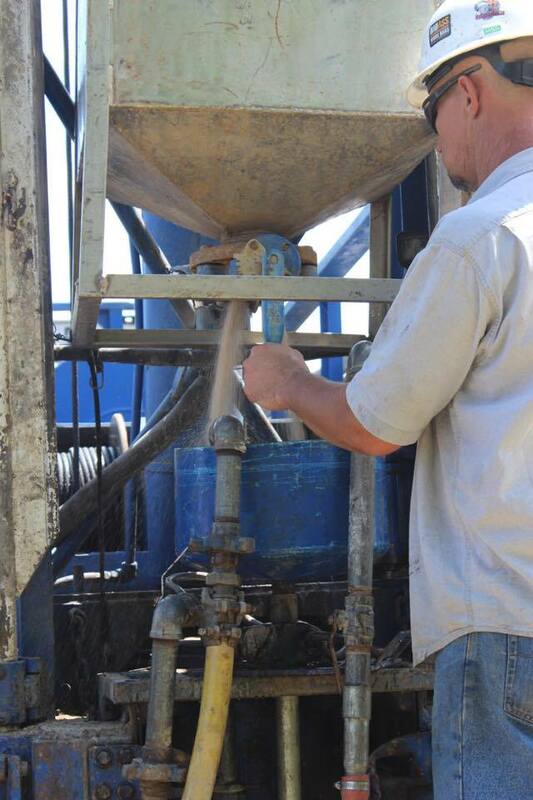 Pender Water Wells provides water for poultry houses, Drinking water for cattle and crop irrigation. 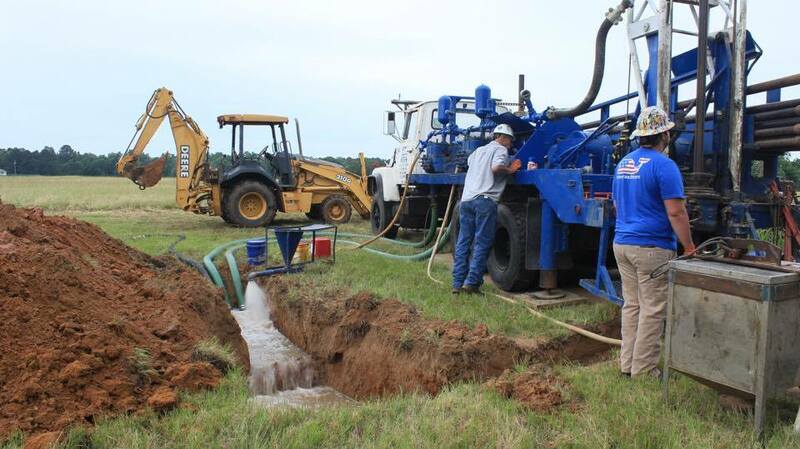 Wells and pumps for cities and rural water districts. 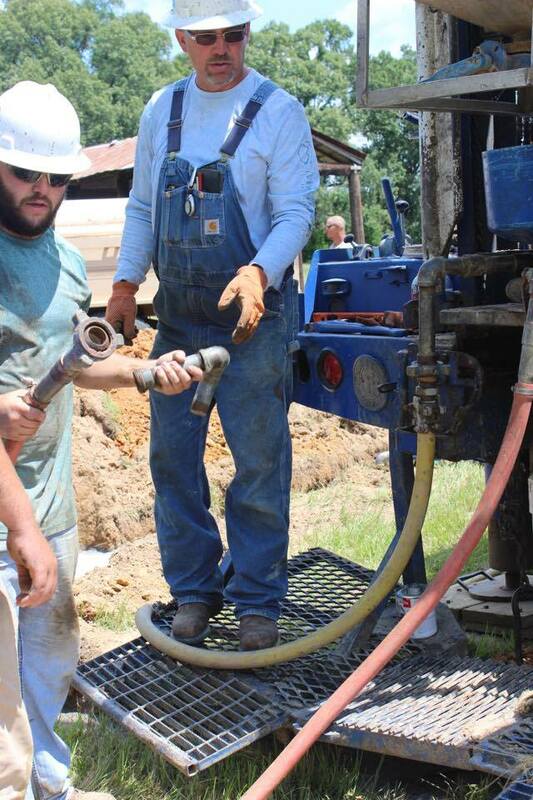 For over 62 years Pender Water Wells has provided water wells for rural homes and for lawn irrigation. 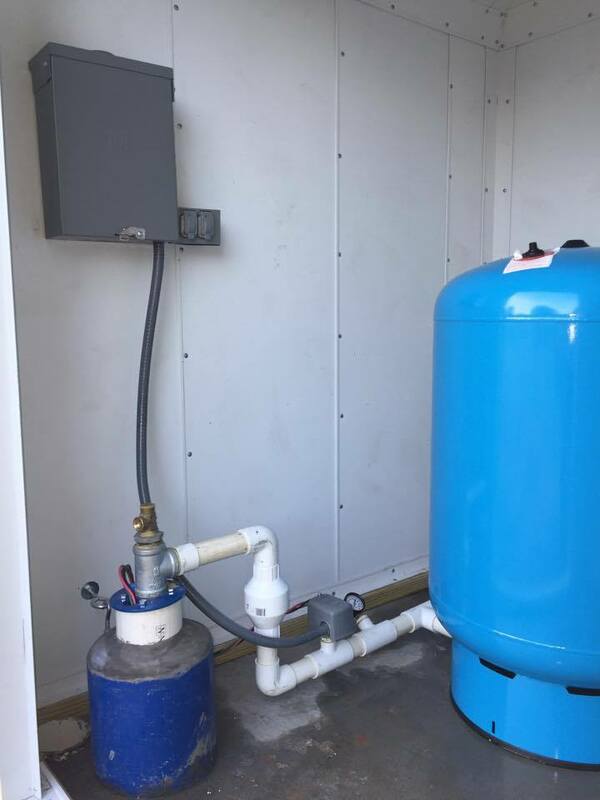 Pender Water Wells can customize units whether your needs require whole-house or point of use treatment for both residential and larger water systems, Pender Water Wells has a complete line of the most innovative water treatment equipment available. 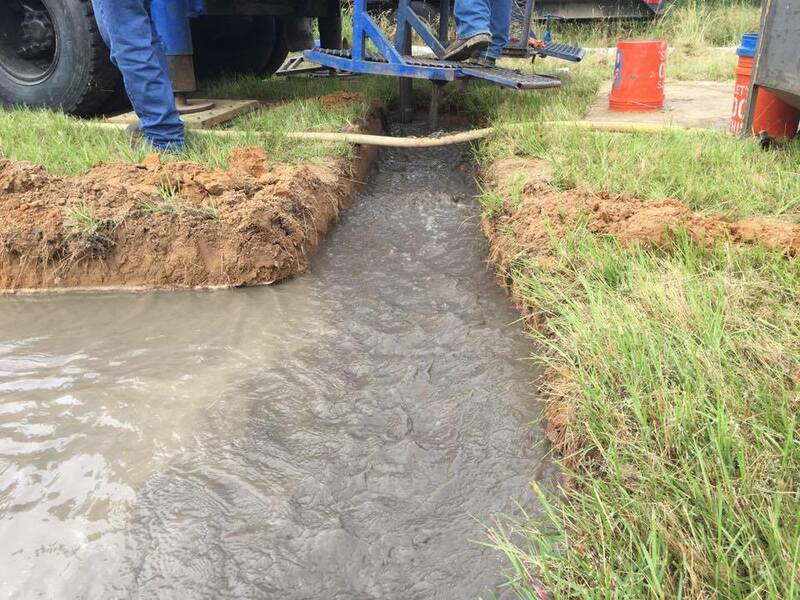 The company has been in the water treatment business for 29 years and has the expertise and equipment to solve any of your water quality problems. 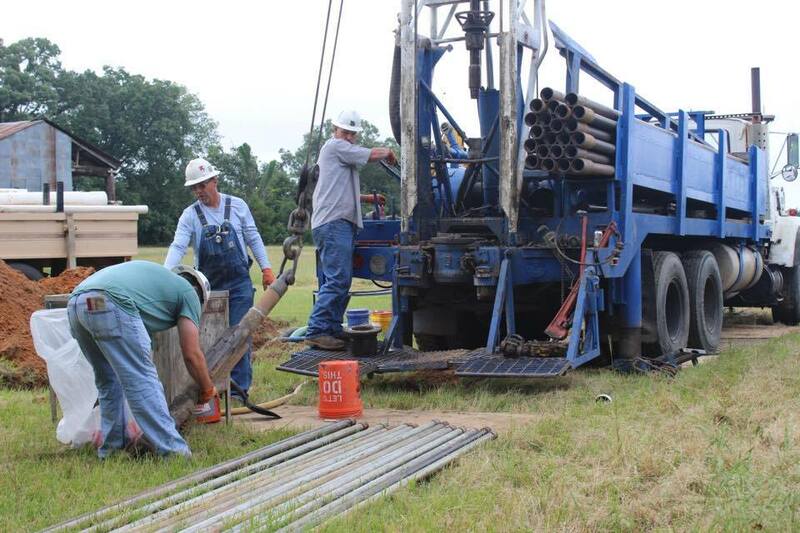 Submersible, line shaft turbine, re-lift, split case, and booster pumps. 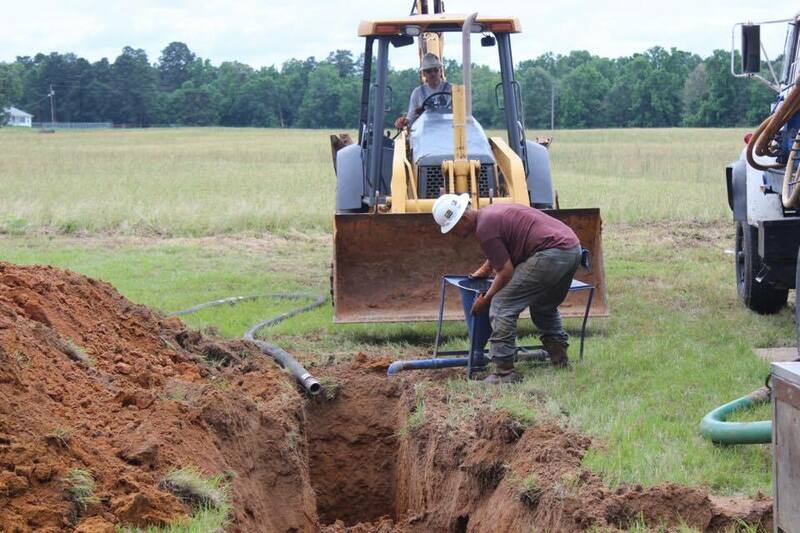 From ½ horse power to over 400 horse power, Pender Water Wells provides installation, maintenance and repairs. 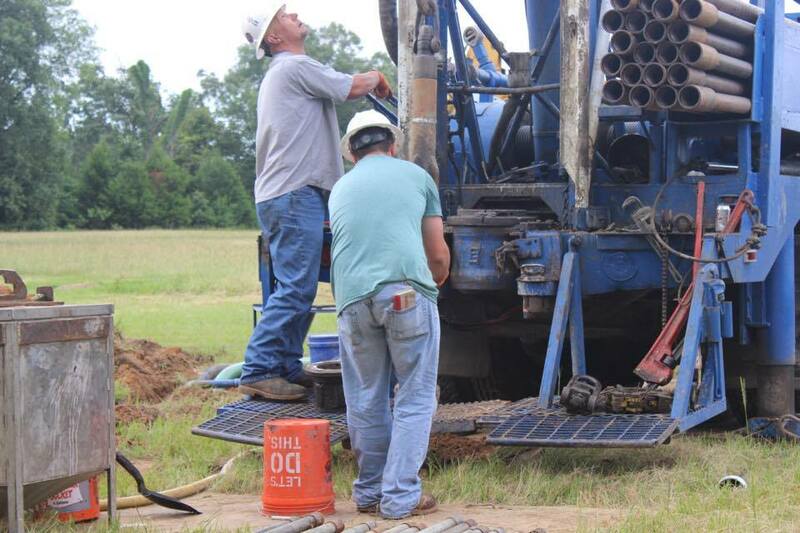 For large industrial and municipal wells Pender Water Wells offers screen cleaning or replacement, retrieval (fishing) of broken pumps, well lining, redevelopment, and evaluation of the well. 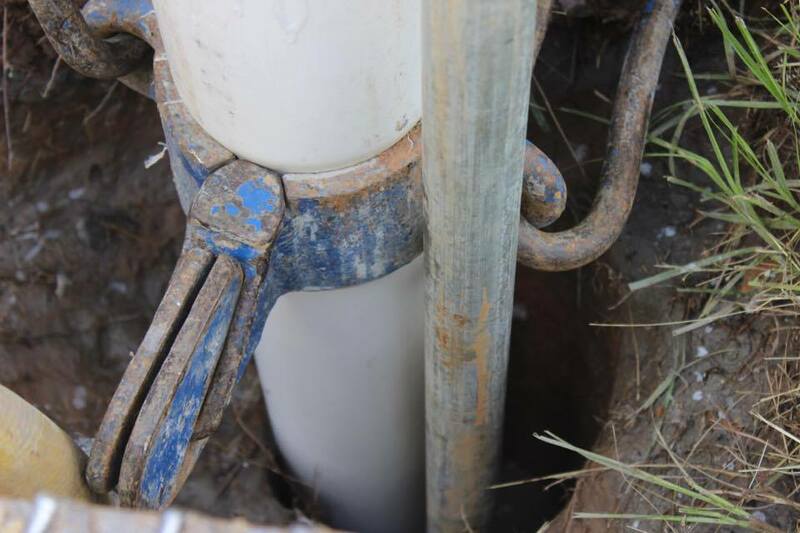 Pender Water Wells offers a down-hole video camera service to determine the problem with a well so that repairs and rehabilitation can be effected. 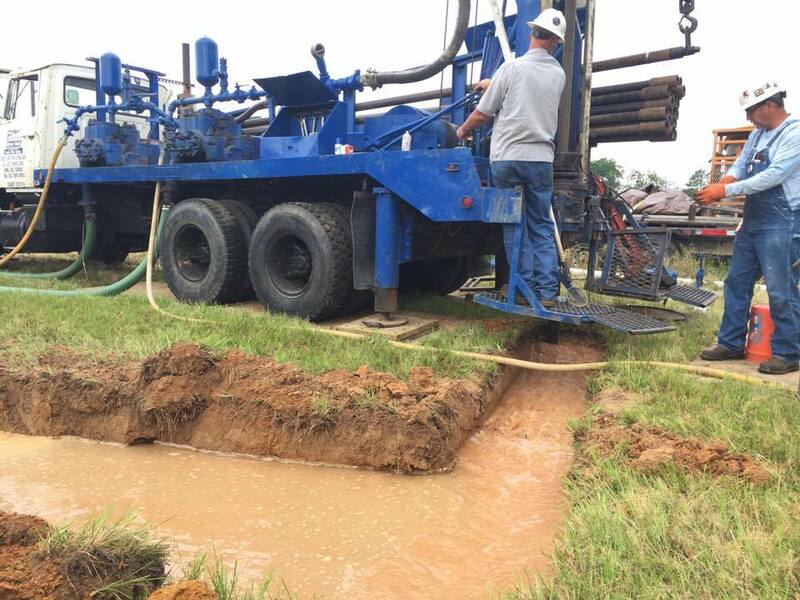 Pender Water Wells provides dewatering services to the construction industry to relieve water from excavations during construction. 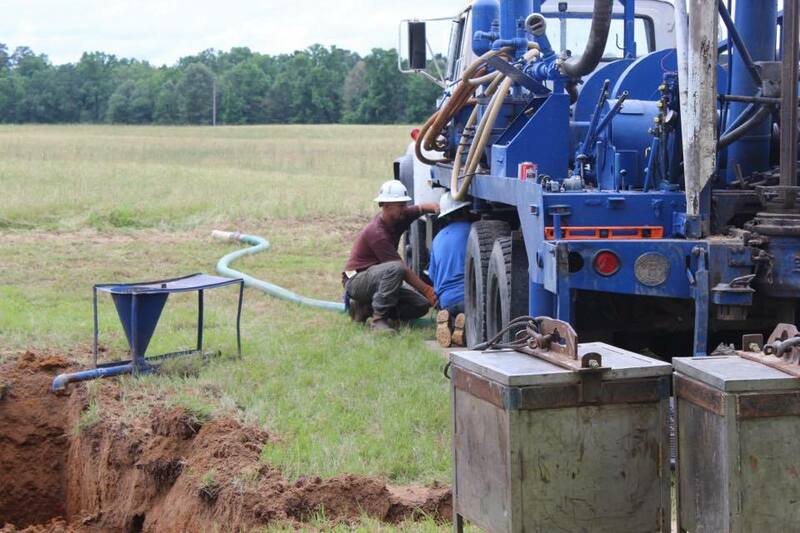 Pender Water Wells offers insulated steel well houses. 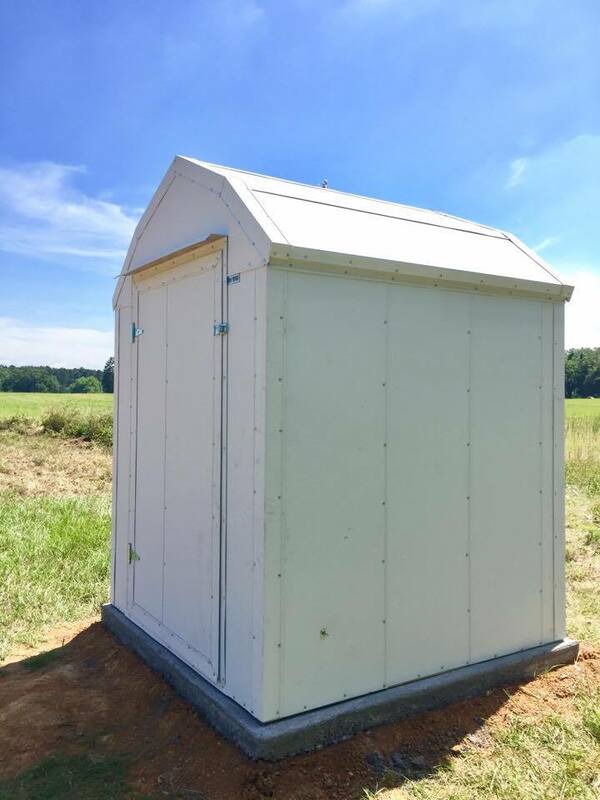 Quality built insulated metal buildings built to last and require little to no maintenance while providing protection from extreme heat and cold and come in various sizes. 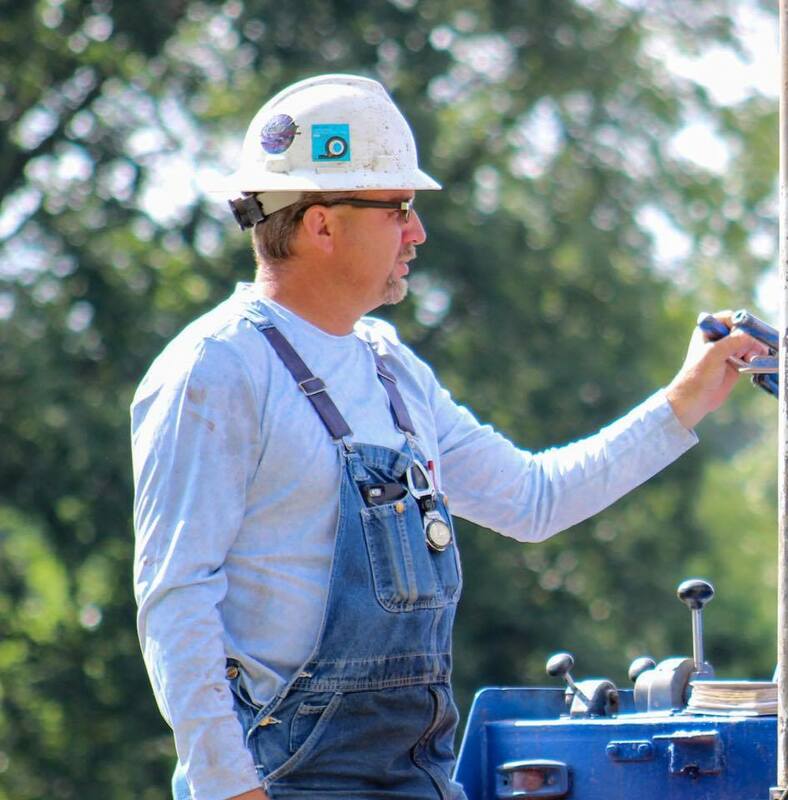 We use quality products from Water Right and Franklin Electric. 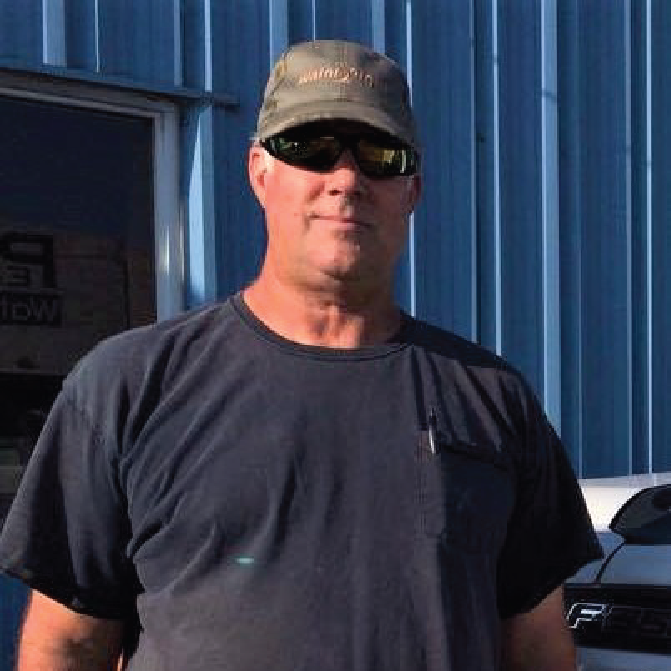 Greg Zimmerman, Sales & Service Mgr. 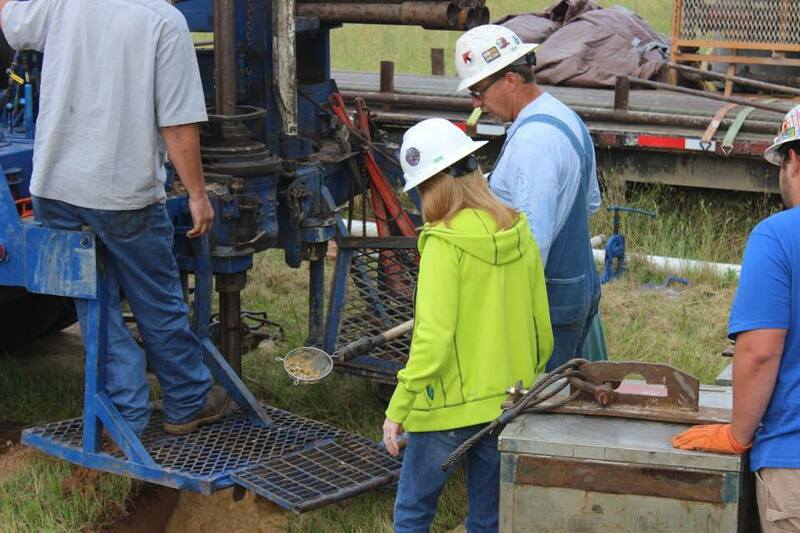 Sid McIlveen, Drilling Operations Mgr. 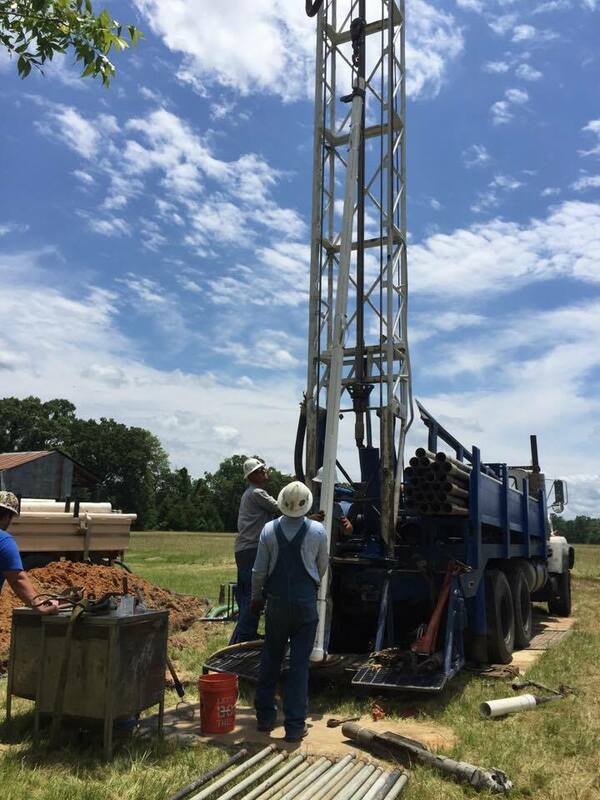 My wife and I want to thank Mr. Ernest Pender and his drilling crew who recently (June 2017) drilled a well on our property. 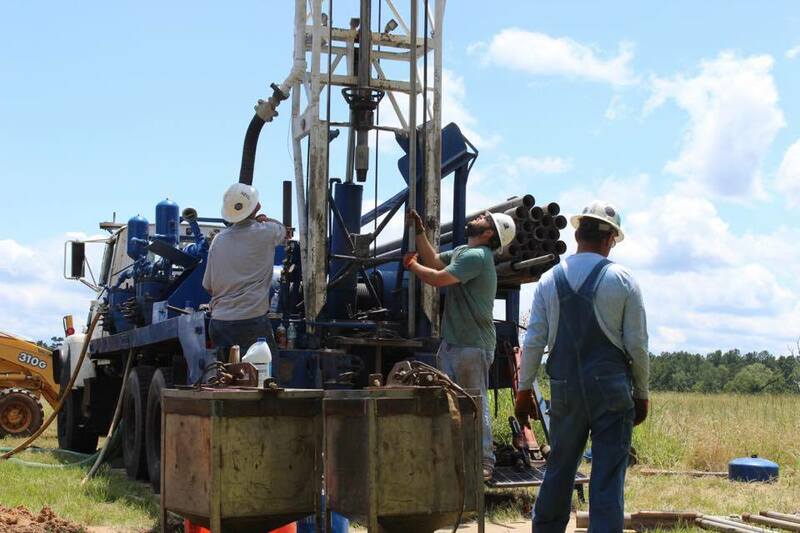 The products and service Pender Water Wells offer is top notch, not only did I have a well drilled but I purchased an insulated well house from them that is of highest quality not often found. 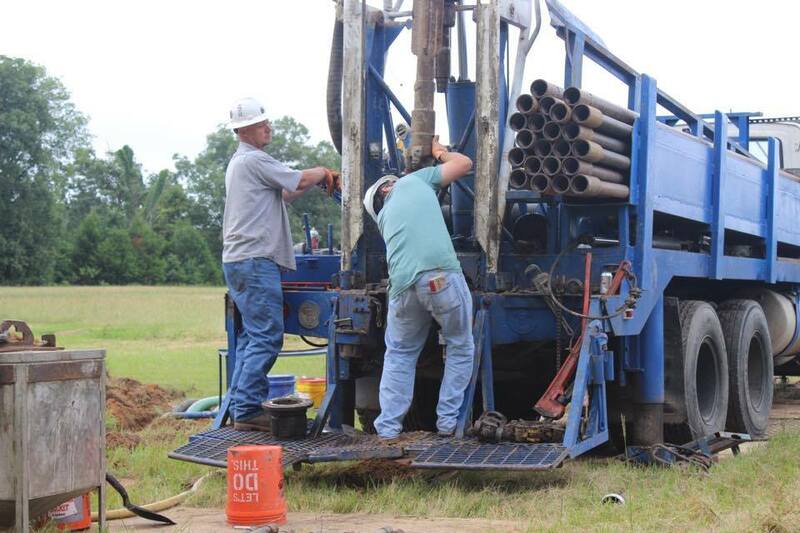 I want to thank the drilling crew that drilled our well, they kept the work area clean as they worked and were very friendly, working together like a well oiled machine. 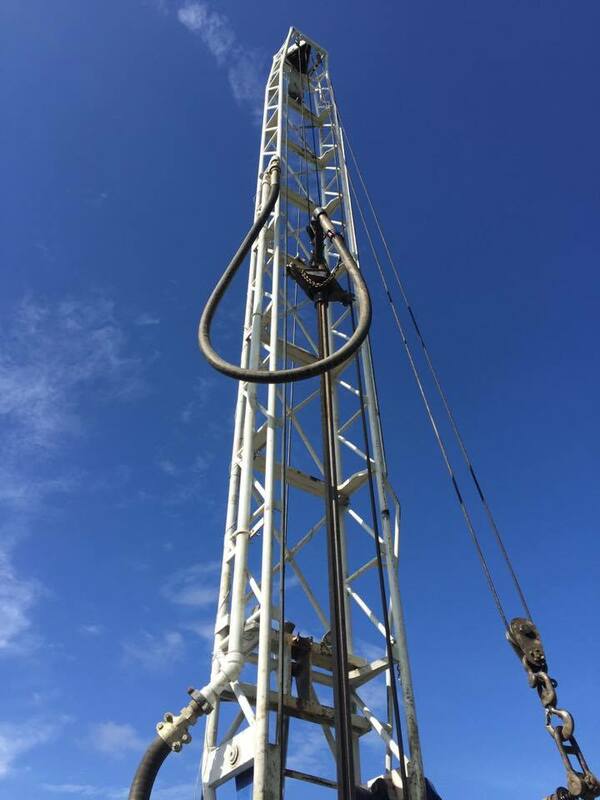 The drilling supervisor is extremely knowledgeable and explained the complete process as they drilled and answered any other questions I had. 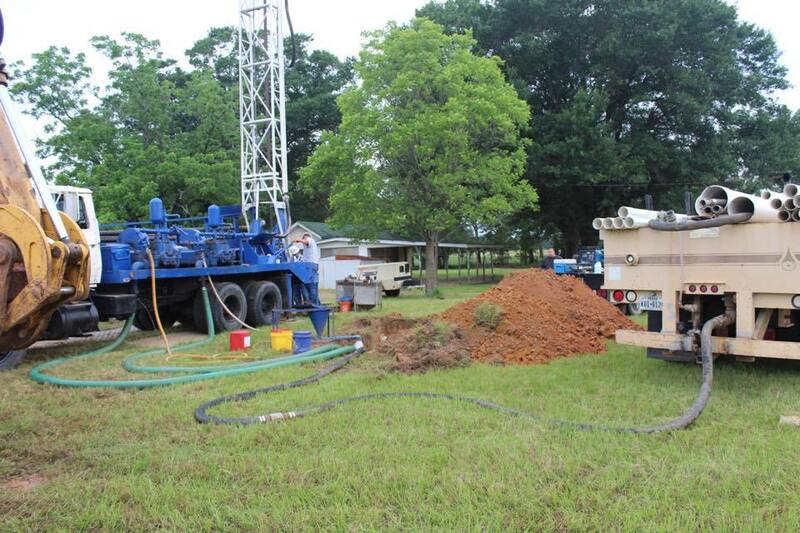 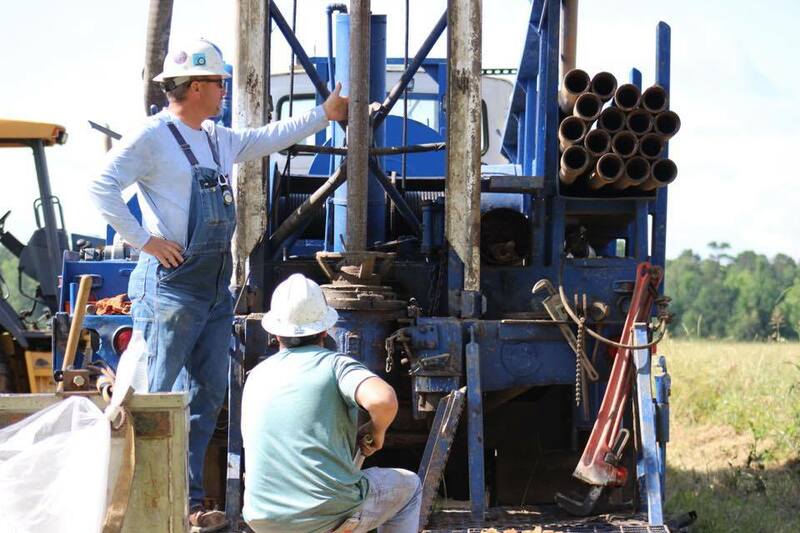 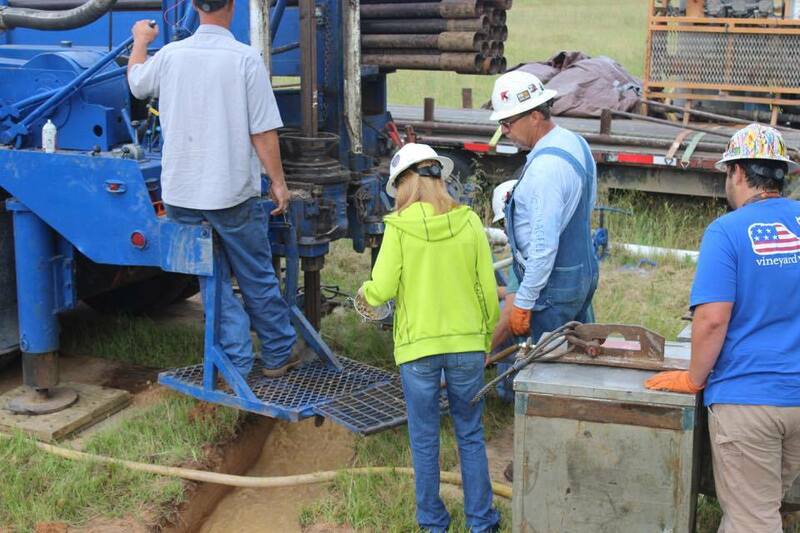 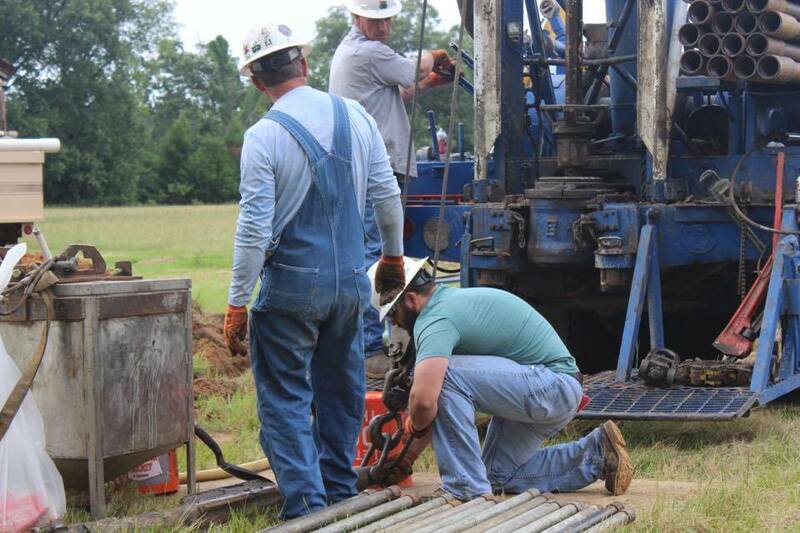 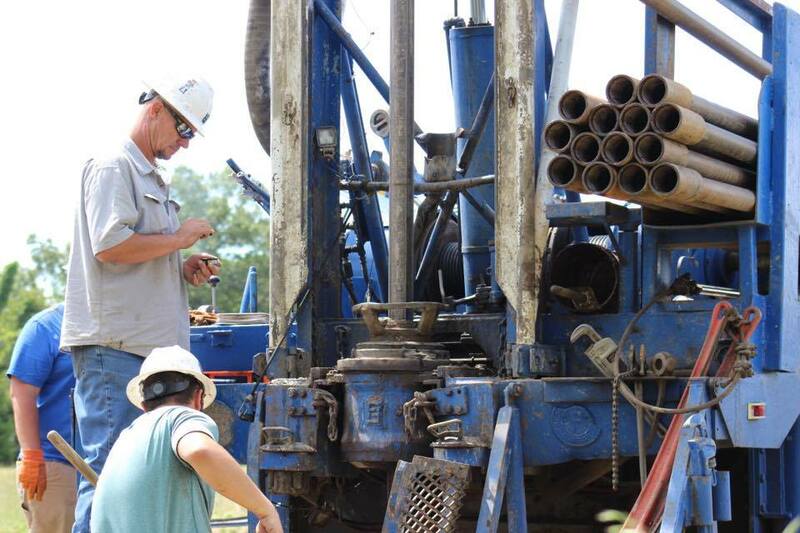 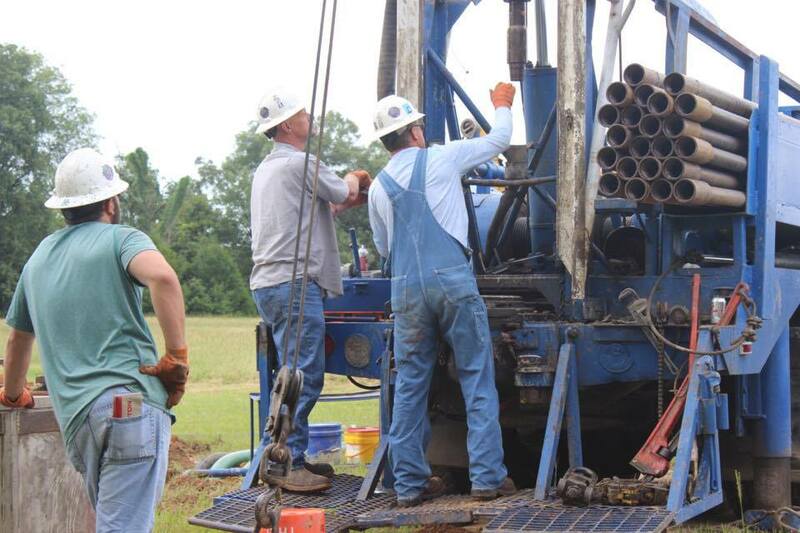 I would not hesitate to contact Pender and his team of professionals in the future if I need another well drilled. 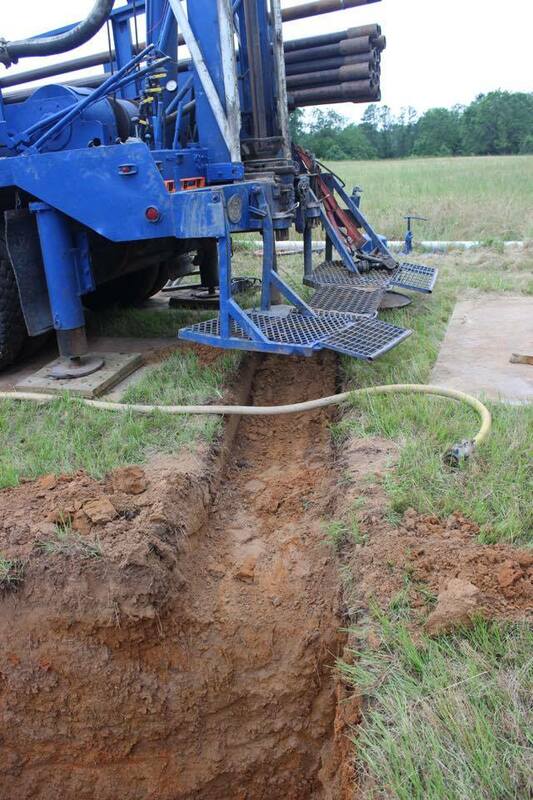 We recently built a new house and had to have a water well drilled. 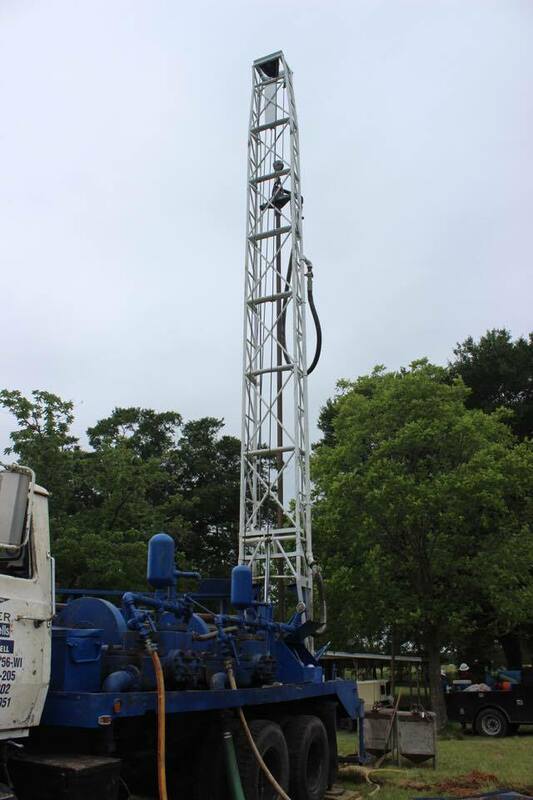 We are very pleased that we choose Pender to drill our well. 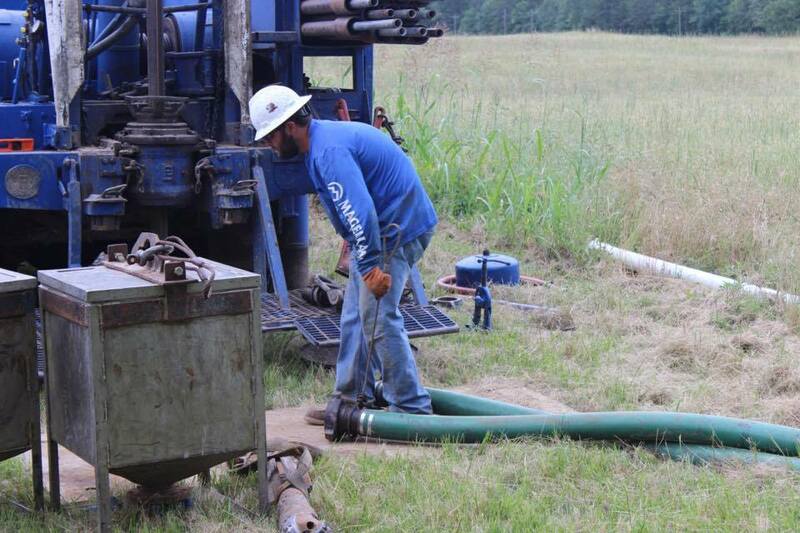 The employees from Pender were pleasant and a joy to work with. 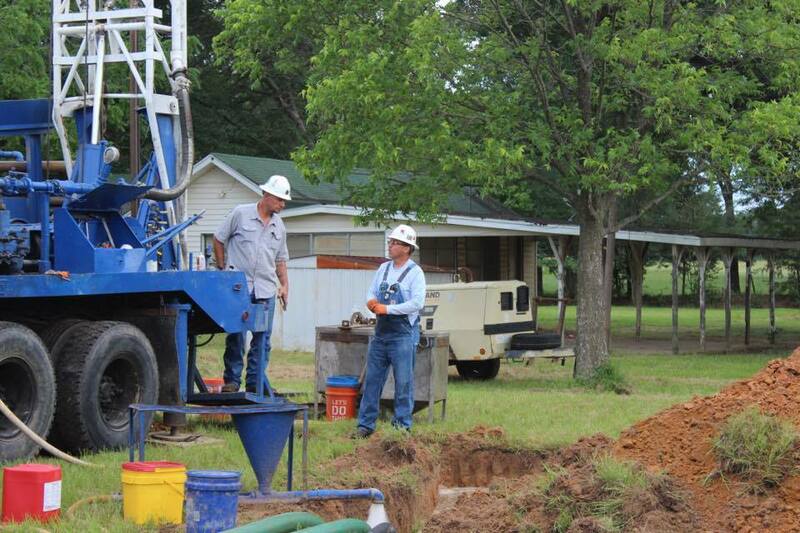 But most of all they were very professional and knowledgeable. 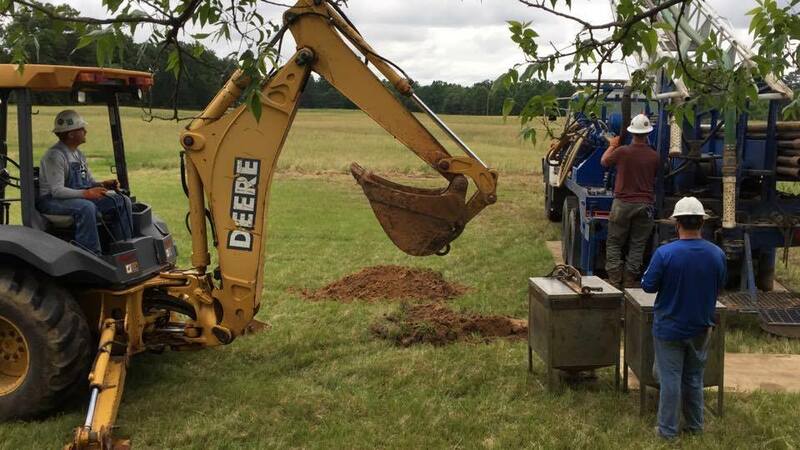 They have followed up on their services. 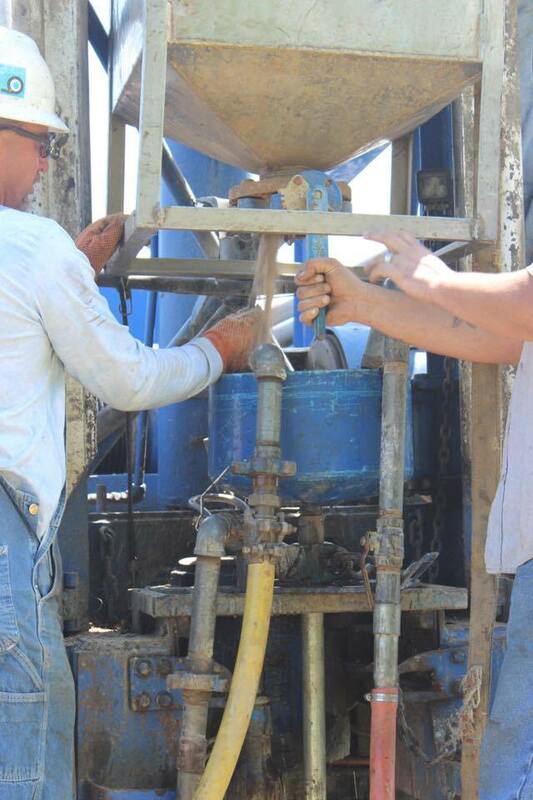 We decided to add a filter system and they installed it in a timely manner. 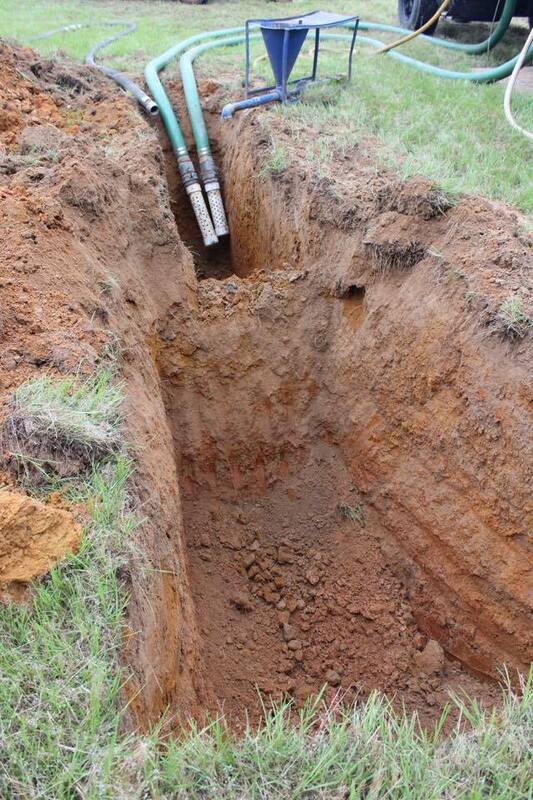 We are very pleased with the service we have received from Pender. 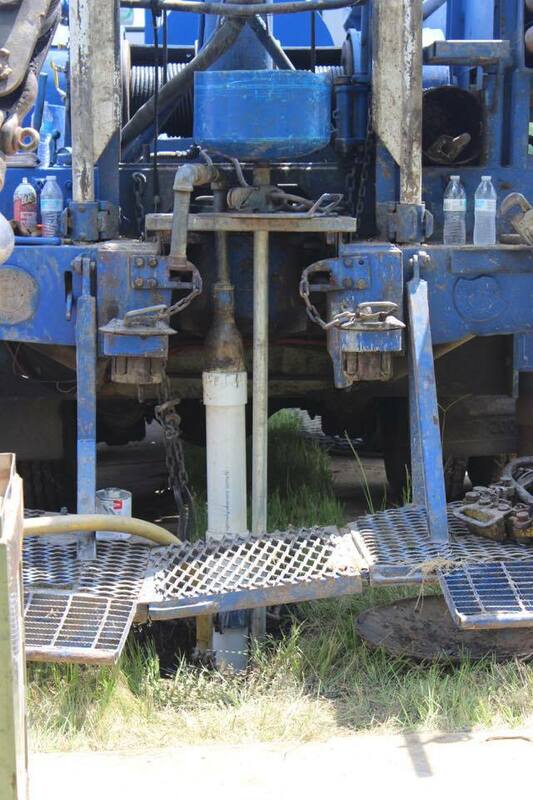 We would definitely recommend them for all your water well needs.